Magic and suspense abound in this moving debut fantasy novel about how far a witch will go to help a friend. Aven Dovenelle is new to Salem, Massachusetts, where she sets up a shop for potions and charms. Although most of Salem’s other witches resent her, she’s found a true friend in Josephine “Jo” Riddle and her daughter, Sylvia. Jo is a fellow witch who does vision walks, and Aven opens up to her, revealing for the first time that she’s been cursed to live one life after another, with no relief. 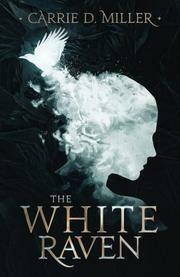 A mysterious white raven often appears in her peripheral vision, but never long enough for her to find out why. With Jo’s help, she discovers the reasons why she was cursed and why the raven has been following her. The weight of the witchcraft in this story is tempered by the introduction of handsome Cal Jacobs, a down-to-earth plumber who ends up on a date with Aven. He may not initially believe that she’s a witch, but he soon has no choice, as a series of dramatic events unfold, each one testing Aven’s abilities further. It will take an intense amount of “magick” to help her—and possibly the ultimate sacrifice. Aven is a delightful protagonist who’s as funny as she is powerful (at one point, for example, she describes her personal style as “the Garage Sale Queen look”), and her wit keeps the story moving. Miller’s novel also showcases its flawless worldbuilding; it explains Aven’s many lives in compelling terms and offers beautiful sensory details, such as the smells of lemongrass and clove in the shop. The white raven’s occasional chapters of narration are opaque, but otherwise, each character brings the right amount of heart (and plot) to the story. The best part of the novel, however, is Aven and Jo’s friendship, as they often seem to genuinely enjoy each other’s company; they’re characters that fantasy fans won’t soon forget. A heartfelt fantasy tale with a spirited plot.